Think of the term "Musical". You're probably picturing a stage of grand proportions adorned with a set that is built to awe. You're picturing two star-crossed lovers overcoming familiar obstacles or the tale of an underdog finding his way to the top. You're picturing a finely composed symphony performed flawlessly by a live orchestra. What you're not picturing is a small, black box theater, sans orchestra, with a plastic sheet strewn across the floor of the audience. You're not picturing the musical iteration of Sam Raimi's bloody cult horror trilogy, Evil Dead. At the V Theater in Planet Hollywood, though, that is exactly what you'll get. 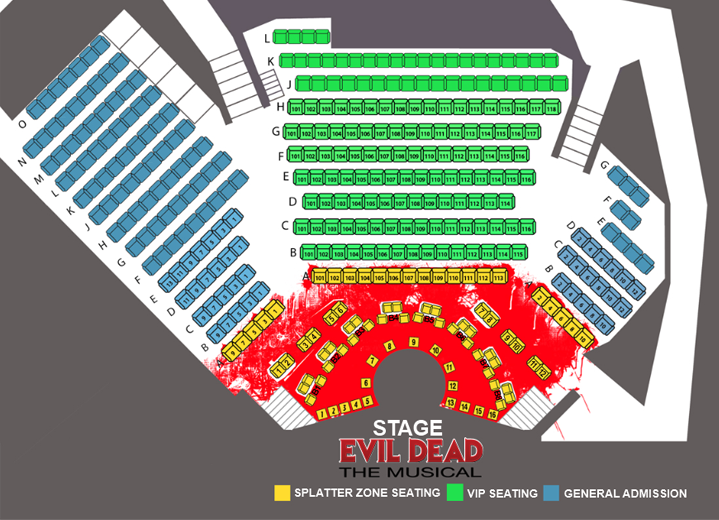 In Evil Dead the Musical 4D, the audience is treated to a show like none other in Sin City. With this show, the production value and the serious tones of your standard musical are replaced with a rickety set, oftentimes corny music, and enough blood to make Dario Argento blush. 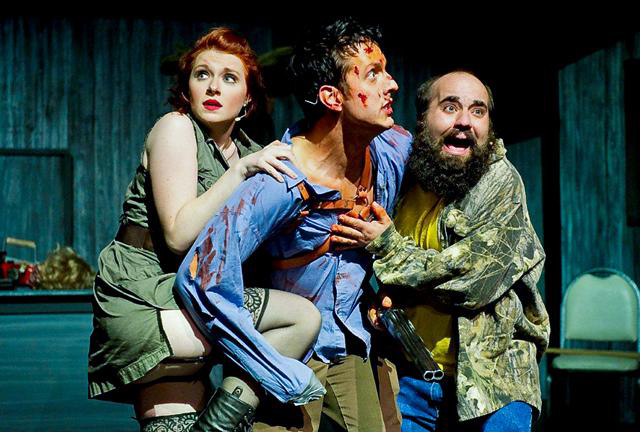 You may find yourself turned off at the concept immediately, but there's more to Evil Dead the Musical than meets the eye. 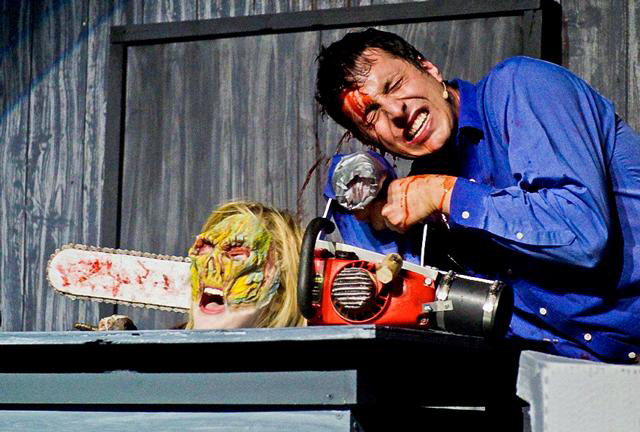 Looking past the purposeful camp that script writer George Reinblatt carried over from "Evil Dead II" and "Army of Darkness", this musical iteration of the infamous horror franchise has charm, and that is something lacking in most Vegas shows today. Though the "Evil Dead" movies were not known for their upbeat musical score, Evil Dead 4D separates itself from the film franchise with a score that can only be described as fun. 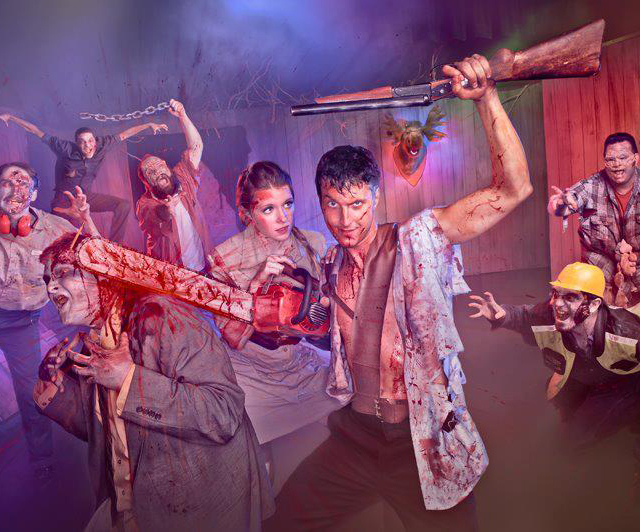 From the happy-go-lucky opening number "Cabin in the Woods" to the Vaudeville-esque "Bit-Part Demon", Evil Dead 4D conveys the purpose behind the Evil Dead films while adding in its own slew of comedic prose. 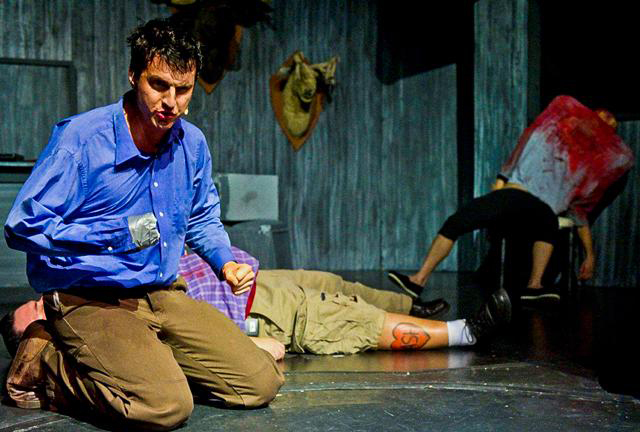 Working as a fun means of unfolding the plotline of "The Evil Dead" and "Evil Dead II", the musical's soundtrack ranges from slower paced duets to a grand finale featuring the entire ensemble. Seeing as how the over-the-top Evil Dead franchise falls into the horror film category, the shows creator knew that there had to be something more to his show than just a musical iteration of the films. Anybody willing to get a little messy can take residence in the "Splatter Zone" area. Making up the first three rows of the V Theater, Splatter Zone seats give a first rate view of the performance, all the while creating a whole new dimension with what can only be described as random audience participation. 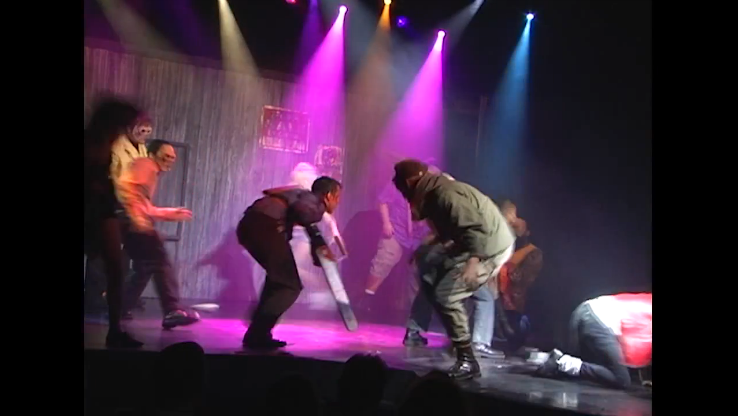 When the main character, Ashley "Ash" Williams, is forced to cut off his own hand, the actor on stage isn't the only one to get showered in blood. Splatter Zone participants are equipped with a white souvenir t-shirt that acts as a receptacle for streams of blood that can come from any direction, even from within the house. 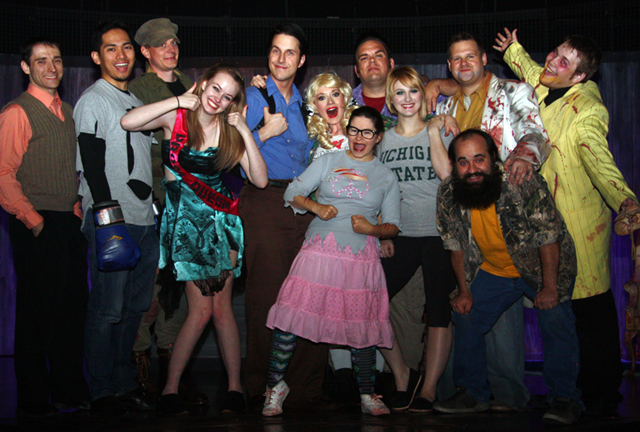 Evil Dead the Musical 4D takes what you think you know about Las Vegas musicals and turns it upside down. This isn't your typical flashy show. Evil Dead has a substance and charm that will easily root itself into the very depths of horror fans worldwide. No. Children ages 3 and older recommended.